This is the deadliest fire season to hit the country in more than a decade. 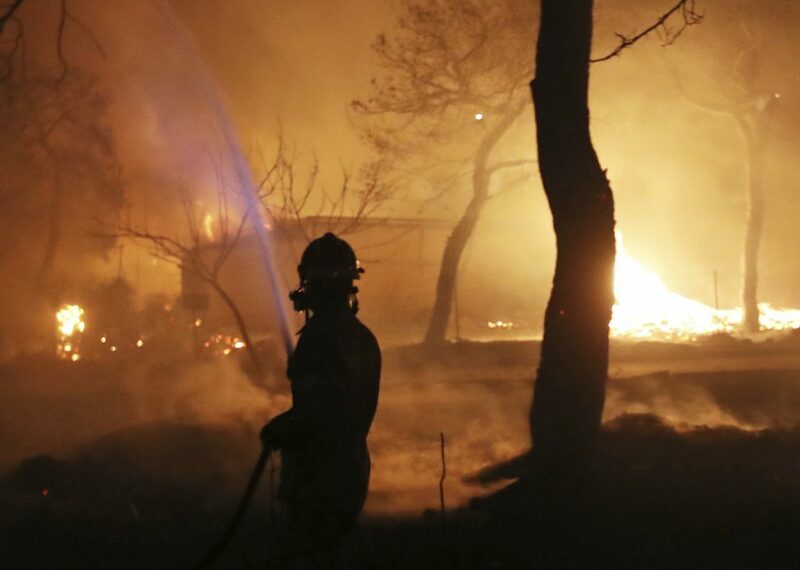 RAFINA, Greece — Wildfires raged through seaside resorts near the Greek capital, torching homes, cars and forests and killing at least 50 people, authorities said Tuesday. Twenty-six of the dead were believed to be groups of families or friends who were found huddled together, some of them hugging. The two largest wildfires – 20 miles northeast of Athens near Rafina, the other 30 miles west of the capital in Kineta – broke out Monday during hot, dry summer conditions. Fanned by gale-force winds, the flames spread rapidly into seaside towns, moving too fast for many who were in their cars or homes to flee, fire department spokeswoman Stavroula Malliri said. British man thought he was giving perfume to his girlfriend. It was a Russian nerve agent.